All Our Favorite Ultra Beasts! [DISCUSSION] All Our Favorite Ultra Beasts! Legends in making, I am 0kamii! And this post has been a long time coming, so I think it's about time I sit down and do it! Ultra Beasts. It's hard to imagine a stranger addition to the Pokémon roster, what with their enlongated body parts, mysterious origins, and anatomical disproportions. Of course, Nintendo did what they always do and turned their exaggerated features into strengths. Now, these oddities are some of the most common mons in the new meta, with the likes of Kartana, Celesteela, Stakataka, and even Nihilego making their way onto World Championship level teams. Clearly, these creature aren't just beasts in name only, and so today I thought it'd be cool to shine and spotlight on some of our favorite otherworldly allies. Yes, yes. I know. I've gushed over Naganadel once before, so I'll keep this brief. When Sun and Moon first came out and we all got a little taste of the Ultra Beasts, Guzzlord quickly became my favorite because I thought it had the coolest design and it was the only Dragon-type, i.e. my favorite type. However, part of what makes me like a pokémon is its prowess in battle, be it in competitive or recs. Naturally, Guzzlord has a plethora of problems that makes it very difficult to use in both those formats. So for a while, that title actually went to Xurkitree. But then, lo and behold, US/UM gave us one of the coolest, most un-pokémon looking creatures to ever get churned out of the series. And that was precisely what I loved about it! Naganadel wasn't just a cool looking non-mon, it was a cool looking Dragon-type non-mon! Finally, the Ultra Beasts had a cool dragon among their numbers, and all memories of the time Guzzlord had been my favorite just faded away. Naganadel isn't exactly a star in competitive, but it fills a useful niche as a Tailwind setter with some decent utility, and that's good enough for me. Also, it's Shiny. Enough said. What can I say about Stakataka? It's probably the most unexpected Ultra Beast on this list. And that's unexpected for me as well. I never thought I'd like this pile of eyed bricks as much as I do, but wonders never cease. I initially didn't like Stakataka, but again, part of what makes me like a pokémon is its battle prowess. 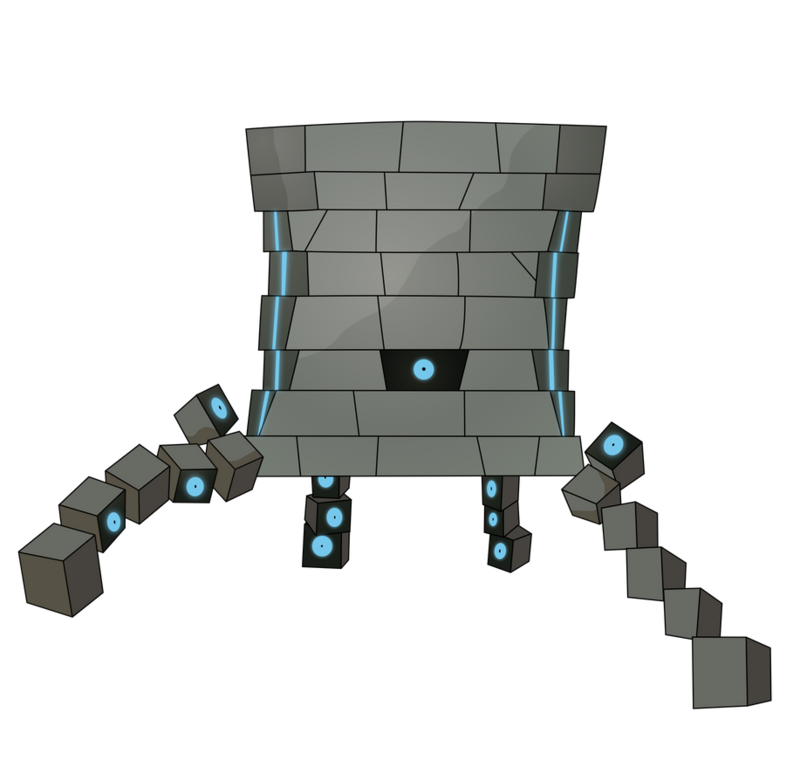 Before I knew it, Stakataka was being adopted by the VGC community as a deadly Trick Room sweeper with Gyro Ball, Rock Slide, and even the ability to set its own Trick Room. Stakataka has earned my respect, and I even came up with a funny comic idea for it. Once it's finished, I'll be sure to post it to the fanart thread. In the meantime, I await the chance to use this thing in competitive play. Maybe my next team? You earned it buddy. Xurkitree was my favorite Ultra Beast prior to Naganadel's release. It usurped Guzzlord's place once I saw how effective it could be at the hands of Sam Pandelis in the 2017 World Championships. It was featured on several of the teams I'd helped my friends build, and I just love its design, animations, and personality in Pokémon Refresh. To me, Xurkitree just had a lot of character for something with so few parts, and I thought that was irrevocably charming! Thanks for much for reading, everyone! Battle onwards, friends! What is your favorite Ultra Beast, and what is your favorite way to use it? Remember to keep it rated-G, and start discussion with each other, not just me! Looking forward to what y'all have to say! My favorite ultra beast is Guzzlord, becuase it eats so much. Consider me willing, thanks for the inclusion! I believe I'm definitely in the minority but I'm going to answer with Celesteela. It's a Moon exclusive which I think ties nicely into the theme of "Celestial", being from Ultra Space and its name clearly being a play on that. I love the sound of its cry and just its design in general. The name is really clever and fun to say, and its shiny form makes me think of a wedding dress. Celesteela is beautiful. In fact, one of my favourite Japanese names for Pokémon is Celesteela. Its Japanese name is "Tekkaguya", which is derived from "Tekka", meaning steel, and "Kaguya", as in Princess Kaguya from The Tale of the Bamboo Cutter, a story from Japanese folklore. The Japanese names of Pokémon aren't really something a lot of western fans notice or are aware of, so it's a nice little bit of obscure knowledge that I appreciate. Honorable mentions go to Xurkitree, Kartana, and Nihilego. I just love the fact that they don't really have faces. That really gets me. @0kamii Awesome! It's been a while since I don't see any of your discussion threads! 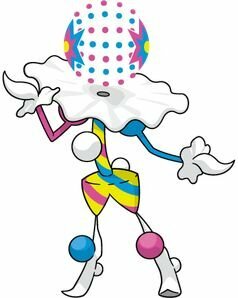 I think it goes without saying but my favorite ultra beast is Blacephalon. Of course, I am probably not being neutral in my decision since it is a Fire-type and I would choose it either way, but I really like the concept of a creepy ghost clown. 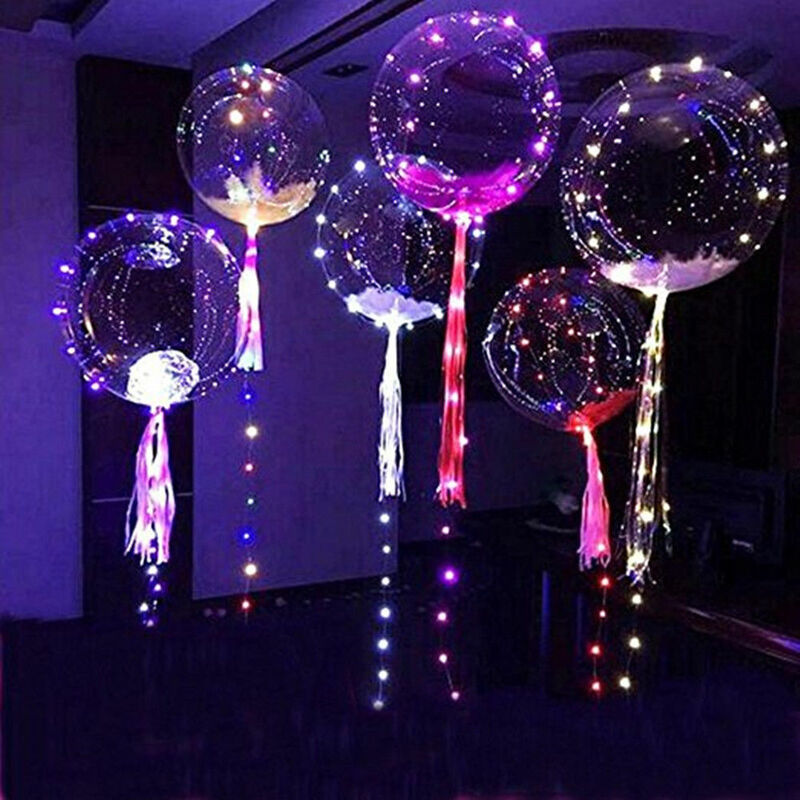 Besides, I don't know where you guys live, the LED balloons Blacephalon's design is based on are increasingly popular now in China, we see them everywhere. I nicknamed my Blacephalon "Bozo the Clown" after the fictional clown character and the recently elected president of Brazil, Bolsonaro. Check out my Hottest Giveaway Ever! I love Xurkitree, I do not know why. Quote: What is your favorite Ultra Beast, and what is your favorite way to use it? I also wanna thank you for the inclusion here. I'm gonna say Kartana. I love that it's made of paper in-universe, and it's a mean little SOB (he's SO tiny! ); threatening, in its serene floating animation. He will CUT. YOU. As for using him in battle, I don't have any insight on that. I have yet to use any of the UBs in any capacity. In fact, I've only recently gone through and caught them all for the first time; so I'll have to get back to you on that. My own honorable mentions are: Naganadel (that stinger is pretty wicked; and the menace in its movements is mesmerising), and... uh... I guess that's it. My enjoyment of the other UBs had more to do with their place in their own dimensions than they themselves: Guzzlord and Buzzwole being the prime examples. Also, I've never seen one of those balloons you're referring to. I've seen the traditional paper 'balloons' that I (an American) associate with China; but imagining a street lined with light-up Blacephalon heads is really appealing to me. I really like your informative answer. It makes me wish I knew anything at all about the name origins of the Pokemon I've listed. As a 'western fan,' I fully appreciate your obscure knowledge. (Nov 20, 2018, 12:49 PM)DrumminBeard Wrote: My enjoyment of the other UBs had more to do with their place in their own dimensions than they themselves: Guzzlord and Buzzwole being the prime examples. Funny you say this, I remember one of my friends who had played US and one of the first things he told me about the game was "I won't spoil Buzzwole's dimension, but it's hilarious". I eventually borrowed a copy of US to play through (since I bought UM on release and another friend had just wanted me to beat the game for him) and I definitely started laughing when I got to that point in-game. Things like that aren't really well-known (I don't know a lot of them and Celesteela was actually the one to get me interested in all that) and I wish I could say I'm not just another western fan looking in. In fact, I'm Canadian and already celebrated Thanksgiving last month, so it's kind of funny to me to see posts about it, both here and the OP. But happy holidays to all of you! Hahaha Thanks! Yeah, the guy is such a Bozo in so many ways... the only difference is that I adore Blacephalon as a Pokemon but I can't say the same for Bolsonaro as a human being (I'm Brazilian). (Nov 20, 2018, 12:49 PM)DrumminBeard Wrote: Also, I've never seen one of those balloons you're referring to. I've seen the traditional paper 'balloons' that I (an American) associate with China; but imagining a street lined with light-up Blacephalon heads is really appealing to me. The first time I saw one on the street I was like: "OMG! Someone get me a Beast Ball. A living Blacephalon!" I should add that I love Celesteela and Kartana too. Competitively, both ultra beasts seem to be relatively popular in OU. It's been a while since I last played in the tier, as of today, but according to Pikalytics, Kartana is the 8th most used Pokemon (16% usage) and Celesteela the 21st (8%). Now I don't really like the idea of how usage determines how good a mon is, but Celesteela and Kartana are both pretty decent ultra beasts! My Favourite is Celesteela. Being a PvE player, Celesteela works well in Battle Tree due to Natural Bulk. 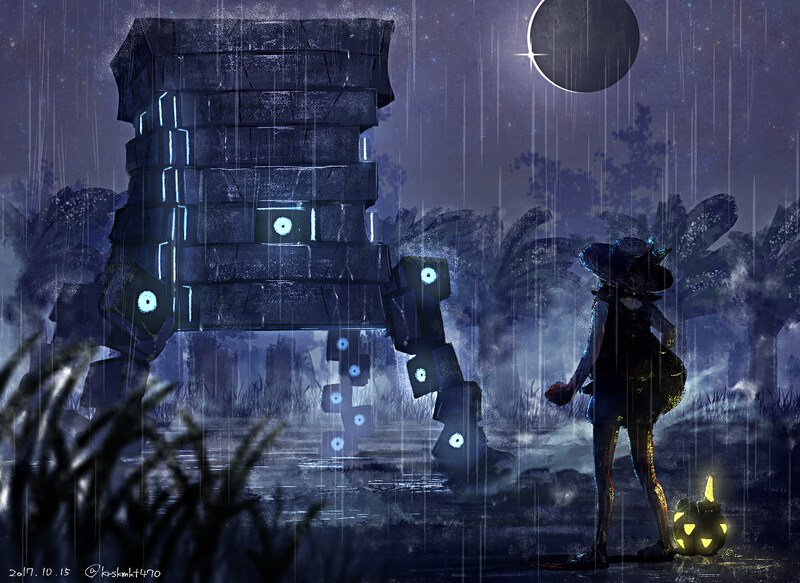 And Stakataka does not work well due to its Rock/Steel Typing. I was expecting Rock with Psychic or Ghost due to its design. What is a signature and how do I get one?